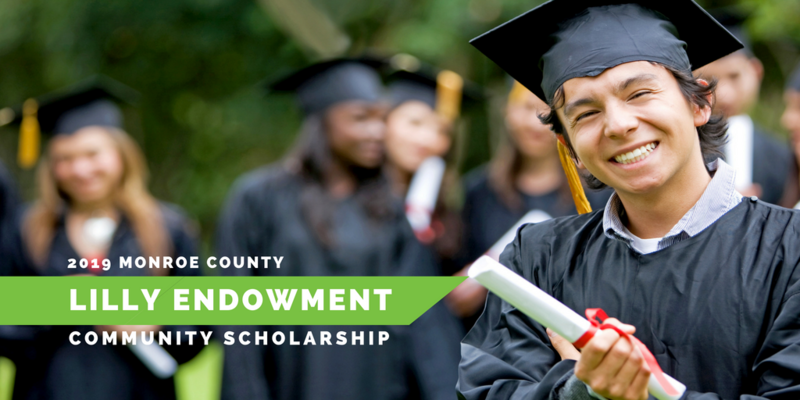 The Lilly Endowment Community Scholarship program provides scholarships for full tuition, required fees, and a special allocation of up to $900 per year for required books and equipment for four years of undergraduate study on a full-time basis, leading to a baccalaureate degree at any Indiana public or private college or university accredited by the Higher Learning Commission of the North Central Association of Colleges and Schools. The deadline to apply for the 2019 Lilly Scholarship was August 26, 2018. There is not a rigid model for the Lilly Endowment Community Scholar. A student who demonstrates notable abilities, leadership skills, and civic potential through community service, exemplary school citizenship, and outstanding academic performance will be considered as a high quality candidate. Applicants must be a legal resident of Monroe County, Indiana. Applicants must be currently attending or has attended an accredited Monroe County high school and/or the Indiana Academy for at least three consecutive years (including senior year) and graduate by June of 2019. Eligible schools include: Bloomington High School North, Bloomington High School South, Edgewood High School, Academy of Science and Entrepreneurship, Indiana Academy for Science, Mathematics & Humanities, Bloomington Graduation School, and Lighthouse Christian Academy. Applicants must have a cumulative GPA of 3.70 or above (weighted, on a four-point scale) through the end of their junior year and plan to pursue a full-time baccalaureate course of study at an Indiana college or university beginning in the Fall of 2019. Applicants must be available to participate in an interview with the selection committee on an evening in October if selected as a finalist for the scholarship. If you have any questions or need assistance regarding the Lilly Scholarship, please contact Program Director Marcus Whited at marcus@cfbmc.org. View list of previous Lilly Endowment Community Scholarship Recipients.